The first edition of Locomotive Traction was published in 2017 and sales of that edition have been such that it is fair to say that the book has already established itself as a popular and accurate reference guide to the locomotive fleet operating on the railways of England, Wales and Scotland. This fully revised second edition with new selection of quality photographs is a quick, easy to use, portable and accurate source in which can be found details of all current locomotives and power units, their number series and operators with livery and technical details included. Locomotive Traction 2019 is the essential companion for modern traction enthusiasts and for all of those with even a passing interest in the locomotives seen on the network today. For those involved in the industry itself it will provide a handy reference source to remind them of the traction options available from the various leasing firms. 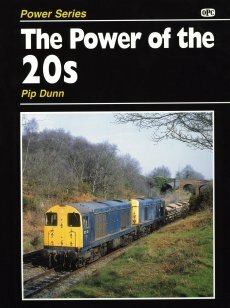 About the Author: Author Pip Dunn is a well known railway journalist and writer, and a recognised authority on modern motive power who has both written and edited numerous books and magazines on the contemporary railway scene. Be one of the first to review the abc Locomotive Traction 2019.